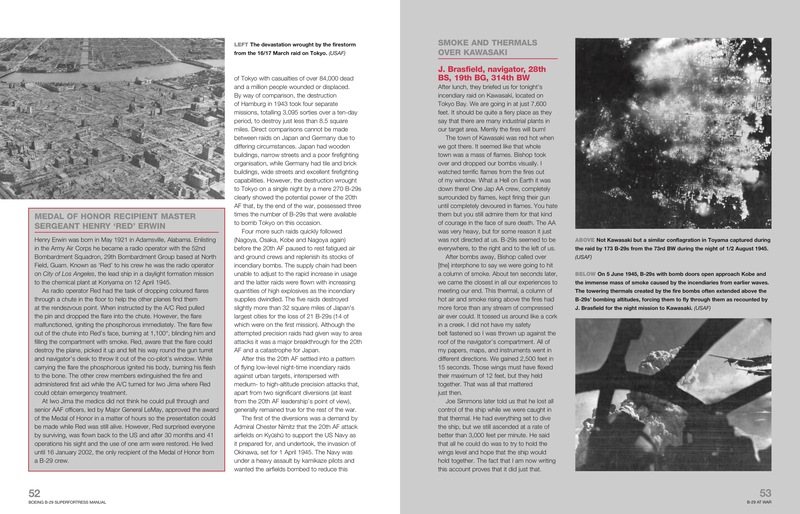 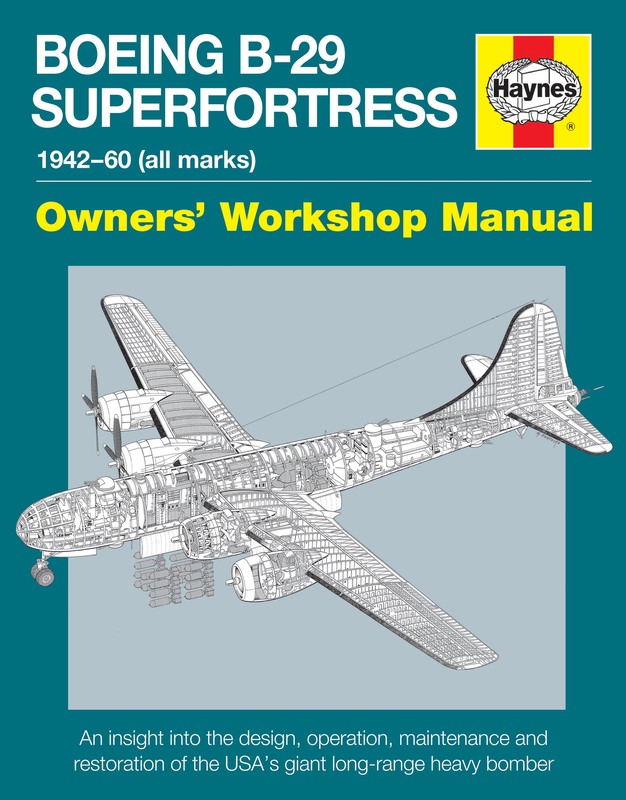 1942-60 (all marks) Owners Workshop Manual, An insight into the design, operation, maintenance and restoration of the USA's giant long-range heavy bomber The Boeing B-29 Superfortress has carved its name in history as the bomber aircraft that dropped the world's first ever atomic-bombs on the Japanese cities of Hiroshima and Nagasaki in August 1945. 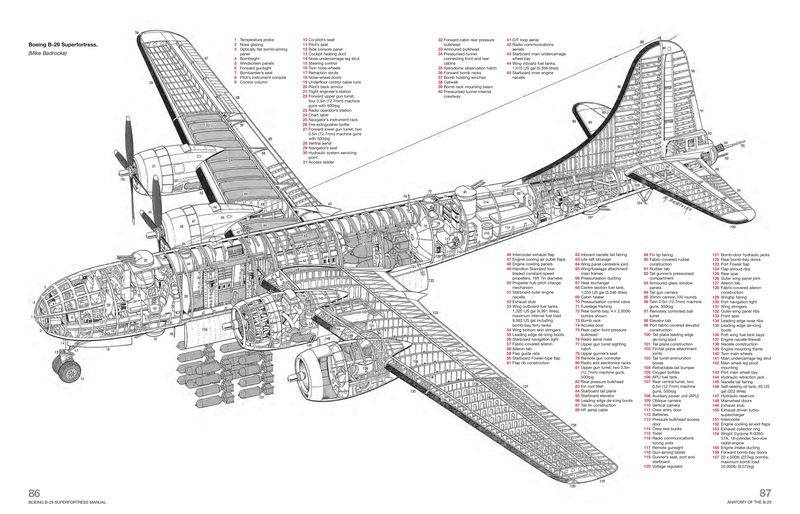 Flown mainly by the USAAF towards the end of WW2 and later during the Korean War, the four-engine B-29 was at the cutting edge of aeronautical design for its time, with pressurised crew accommodation, electronic fire-control system and remotely operated gun turrets. 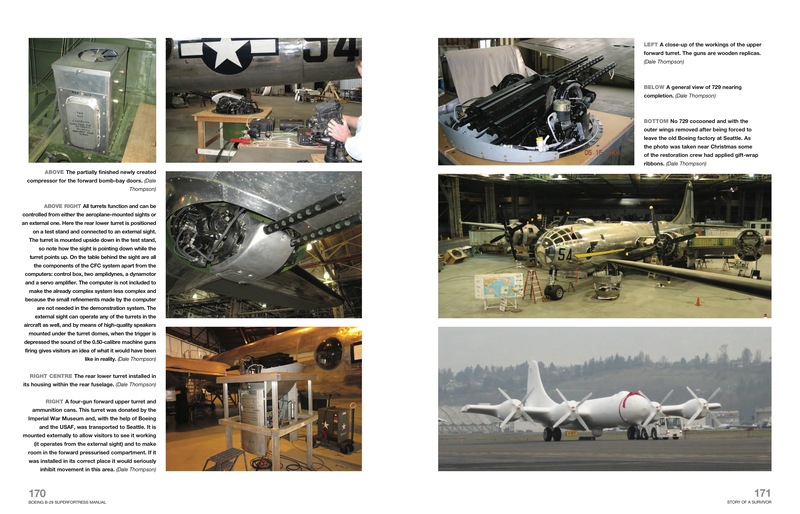 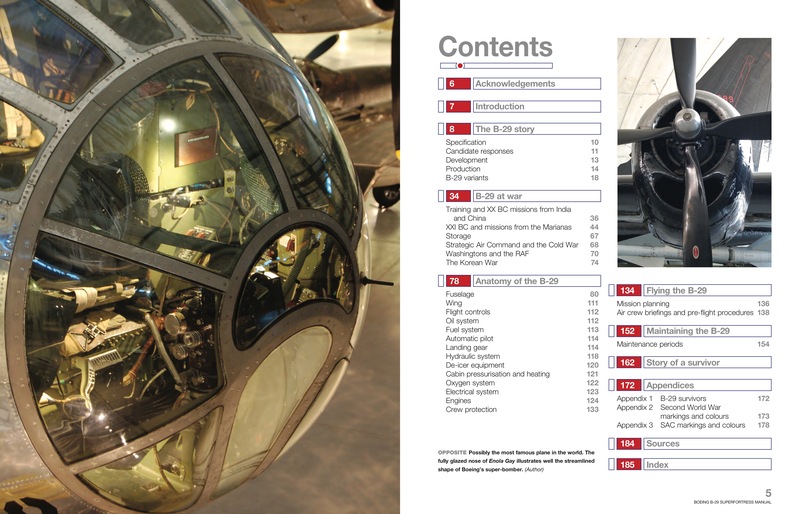 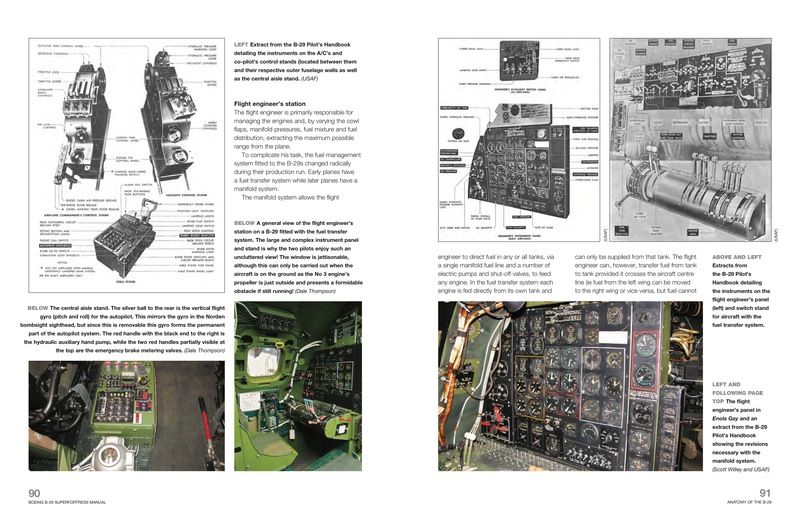 The centrepiece of this manual is the B-29 T Square 54 currently being exquisitely restored to a non flying condition in Seattle, WA.